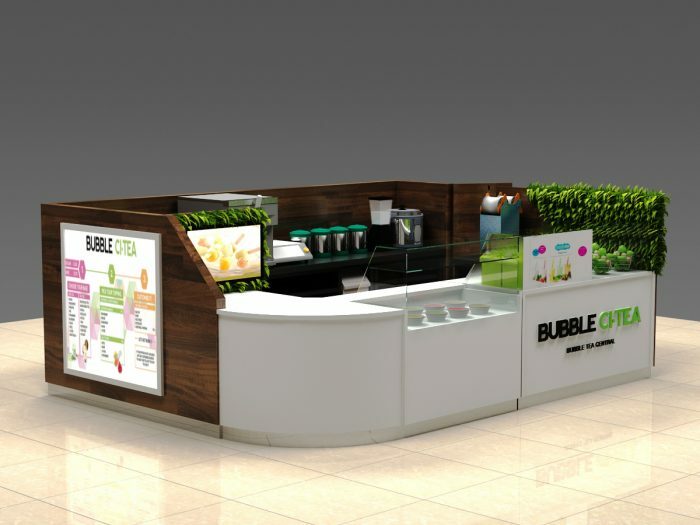 Suave white match elegant brown bubble tea kiosk, attractive juice kiosk. The summer lotus blooms and the warm wind blows,the sun absorbs our water to its fullest.we need a drink to replenish our water,a cold drink or a cup of bubble tea can reduce the sun’s fury.drink a cup of bubble tea, cool the whole summer, relax yourselves, drink cold juice, so do you need a cold drink kiosk to cool your summer?if yes, please don’t miss our product, if you are in the business of bubble tea and juice, you also don’t miss our product, a beautiful bubble tea and juice kiosk. Some beautiful images of it. More basic information of it. Surface : white paint finish. Let us see more images about our kiosk. 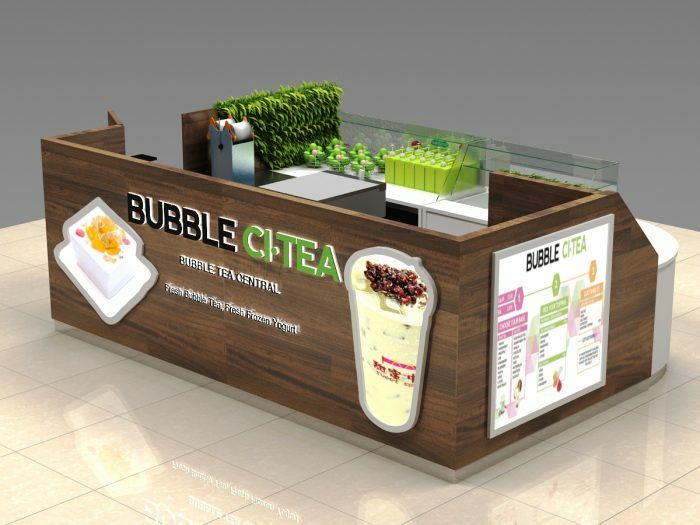 How to build a bubble tea kiosk like this one ? At first ,you need contact and share your ideas to us . 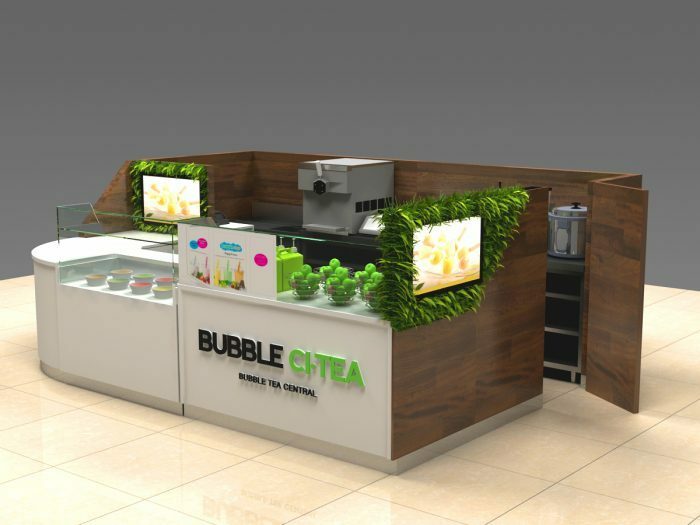 such as your bubble tea shop size , your like color , your logo etc , then we can help you make a new unique bubble tea design and put all of your ideas on it . you can submit the design for get the mall approve . if the mall manager have any question for the design , we can help you modify it . 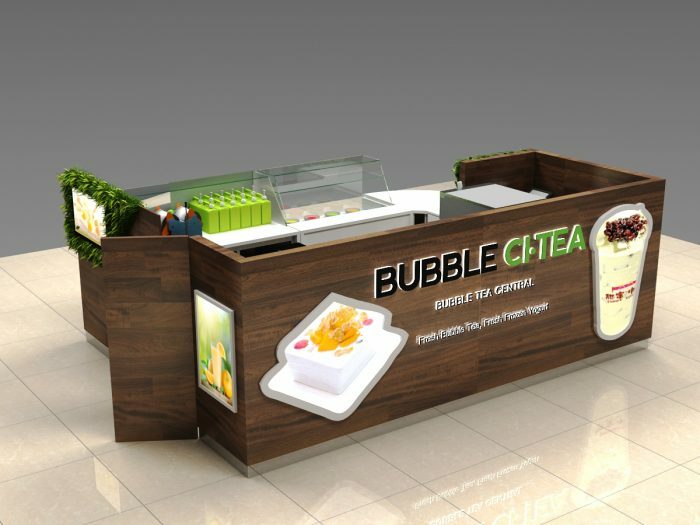 after get mall approve , we can work on the bubble tea kiosk construction plan and start production this bubble tea kiosk, usually build it about need 20 work days , We will take photos and update the progress during production . when we finished , we will assemble the kiosk and take photo or video for your check, then we will package and arrange shipment it to your port . if you need , we also can direct send this bubble kiosk to your address . Shenzhen unique furniture limited company is a professional largescale manufacturer of all types of kiosk, integrating development and production together. Our main products include display cabinet,glass showcase,display stand,display rack,booth,display kiosk,food kiosk,cosmetic kiosk,jewelry kiosk,cosmetic booth and related products.Our company was established in 2007,and we have many years of history in the commercial furniture industry. 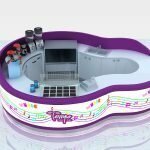 Why choose our product?1.We are a professional manufacturer,and own a modern factory and a excellent design team.Professional designers can design whatever you want,or give you the best ideas.2.Morn than 10 years of experience in making fast food carts/kiosks,like coffee cart,coffee kiosk,bubble tea kiosk,candy kiosk,nail kiosk, ice cream cart,bar counter,cosmetic display,jewelry kiosk,etc.3.Offer the 24-hours service for you.Any question or issue,please contact us feel free.4.Professional skills and exquisite workmanship to serve with high quality. Finally, I hope you can contact us, and thank you for your reading. have a good time.